Welcome to Dyemasters Tie Dyes! Dyemasters captures the brilliant and beautifully vibrant detailed art of Tie Dye and makes it available in hundreds of designs of Tie-Dye T-Shirts, Ladies Cut T-Shirts & Tank Tops, and Long Sleeve Shirts. We also offer dozens of tie dye styles in Hoodies and Crew Neck Sweatshirt products. Check out our Tie Dye Tapestry gallery and get one for your wall or bed! You want tie dyes? We got them! Dyemasters tie-dyes are 100% handmade-to-order. Please allow 2-3 weeks for your tie dye order to arrive. Thanks! Every one of our tie dyes is 100% hand tie-dyed by Dyemasters and made-to-order. No Fade, No Bleed,Pre-Washed 2 Times, Dryer Shrunk, Heavyweight, 100% Cotton, 100% Awesome! Click here to check out a selection of some of our newest tie dye designs! and I will remake them till you are Satisfied. 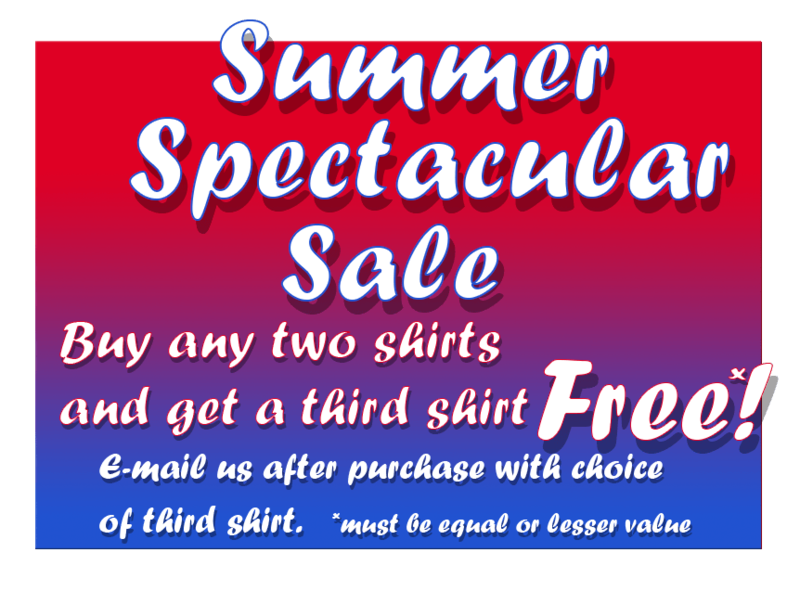 If you, or a customer, ever has a shirt that shrinks or fades out of ordinary, I will replace it FREE! FOR AS LONG AS THEY OWN IT… Really, it will fall apart from age before it ever fades. Be sure to follow us on Social Media to get the scoop on new designs, special offers, new “Instant” Gratification items, coupons, etc. My order just arrived. The shirts are amazing like always! My husband asks when I plan on giving up wearing so much tie dye, my response is “NEVER”! a visit this website, Keep up the fastidious job. my cousin puts out THE best artwork ever.. i have had some shirts for close to 8-9yrs.. always comes up with the most insane concepts. high quality shirts and materials.. none of that washed-out or “printed ” knock off stuff….”i constantly get compliments on my shirts from him” ….thanks Mike! I could not be more stoked about the shirts I recieved, simply the best dyes I have ever seen. Hi Mike. Hope this finds you well. I was in College Station, TX this past weekend at the mall and had two different men stop me to ask where did I get my awesome tye-dye shirt (I was wearing one of my older ones , which look like new!) and I gave them your name & website. I also had a couple of ladies flag me down to say my shirt was the best tye-dye job they’d ever seen! I’m a freaking walking billboard for you, dude!! ATTENTION PEOPLE OF EARTH!!! If you are looking for the best tie dyes on the planet LOOK NO FURTHER! you have found them! Mike is the DYEMASTER!! I have ordered my shirts from him for the past few years and they are AMAZING! I haven’t seen shirts of this quality anywhere except the dead show parking lots. No store or head shop has anything close to the shirts from Dyemasters(Unless they get them from here). Thanks again Mike!